This is another confirmation to excellence in the work of the company which is one of the leading in the SouthEast, Central and Eastern Europe and portfolio of about 800 different products present in more than 40 markets around the world. 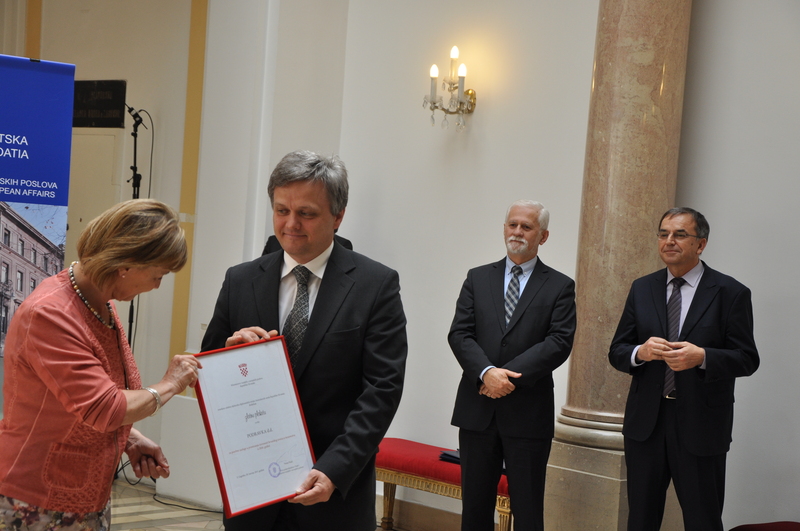 For the first time the Ministry of Foreign and European Affairs gave the award of Croatian diplomacy for the special contribution in promotion of excellence of Croatian economy in the world. 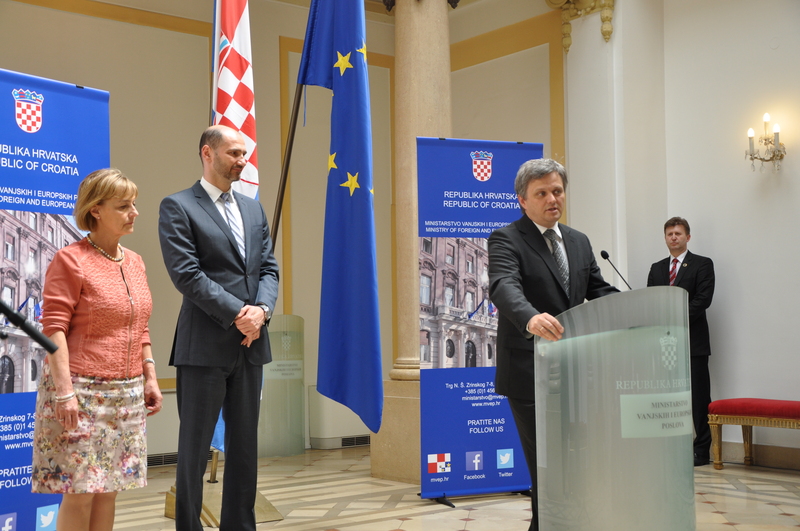 The reward is based on the results of a poll conducted among the ambassadors, consuls and economic advisers in diplomatic missions and consulates of the Republic of Croatia abroad. Croatian diplomats choose three companies that according to their experience gave a special contribution in the previous period and made a particularly professional impression by their appearances abroad. Podravka was recognized as the best company and awarded with a golden plaque. This is another confirmation to excellence in the work of the company which is one of the leading in the SouthEast, Central and Eastern Europe, with companies and branch offices in 22 countries around the world, own distribution network in 10 countries and portfolio of about 800 different products present in more than 40 markets around the world. Early this year Podravka formed four new regions: Adria region, Europe region, Russia and CIS region and New markets region, additionally strengthening the efforts focused on better usability of Podravka's size and extent around the world. Preconditions for further company growth and development were created with this. "It is a honour and a pleasure to receive this award from the Croatian diplomacy, the representatives of our country in the whole world, who have recognized the value and excellence in the work of our company. In the following three years it is our goal to achieve 75% revenue on international markets and this award is the proof that we are recognized in our work and in our focus on expansion of our business around the world" - Zvonimir Mršić, Podravka Management Board President said.